Established by Kevin J. 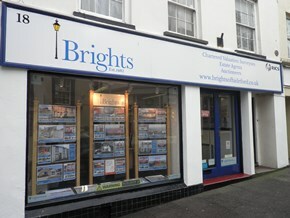 Bright FRICS in 1982 and having traded under the very recognisable bright yellow name of KEVIN BRIGHT for over 25 years, 2008 saw a rebrand to BRIGHTS. A proudly independent and local general practice which encapsulates the personal service and morals which has seen BRIGHTS continue to be Bideford’s longest continually practising Estate Agency, now affording vast experience within the property world especially within Bideford and throughout North Devon. As a business BRIGHTS have handled and co-ordinated 1000’s of transactions over the years of widely varying property types for both vendor and purchaser clients.